All superior rooms are around 15-25m² and have all modern comfort like air conditioner + fan, fridge/ Minibar, cabled 32″ LED TV, DVD-player, private electronic safety box, hot water shower, free coffee and tea facilities, free drinking water, etc. and free Fiber Optic WiFi. They are all equiped with a full desk an a Queen size / King size bed. Please note that, as the name room only says, daily breakfast and free sauna / fitness entrance are not included. 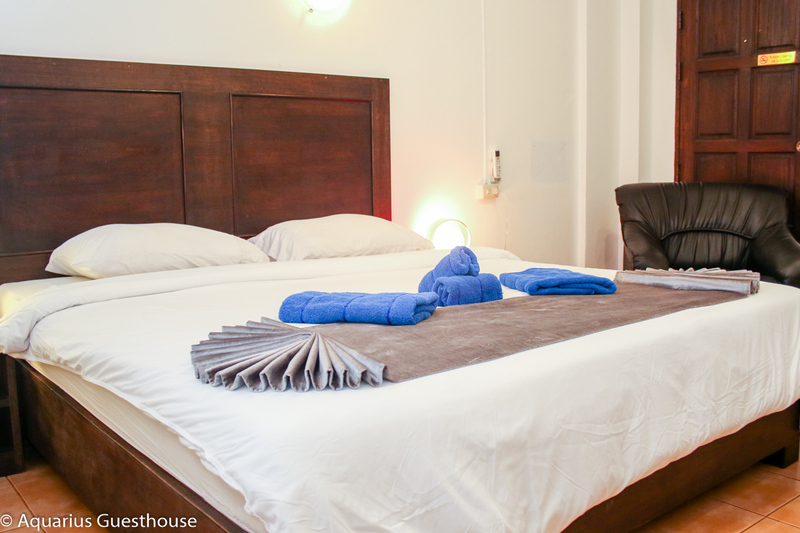 Aquarius Guesthouse also offers Patong's only gay sauna with steam room, dry sauna, jacuzzi, a well equipped fitness center, an indoor pool as well as a rooftop sundeck with a second jacuzzi, from where you have a panoramic view over whole Patong. Entrance to all these amenities is free for our checked in guests (except for joiners and for those having booked on a "room only" base). Daily breakfast is included in our room rates for checked in guests (except for joiners and for those having booked on a "room only" base) and is served from 8 till 11.30 AM. We offer a choice of American, Continental and Asian breakfast. 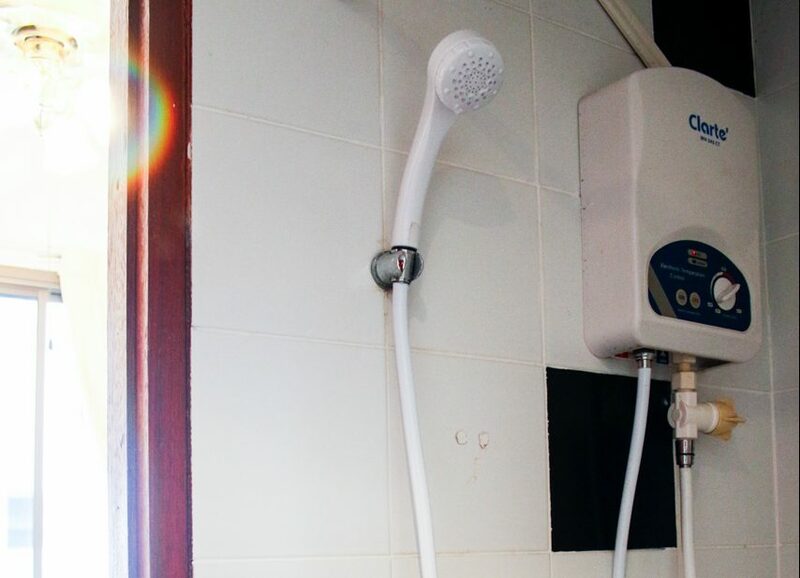 For your security and your convenience, Aquarius Guesthouse offers a 24/ 24 H reception and CCTV camera system as well as electronic door locks in most of the rooms. 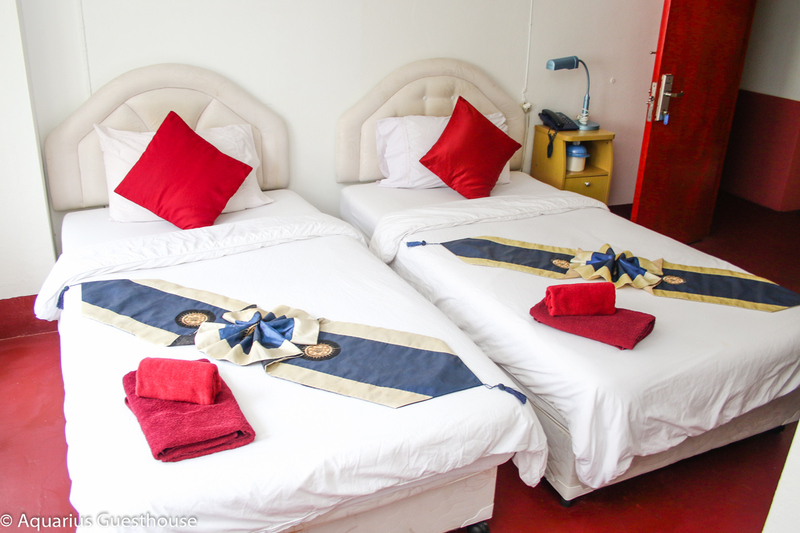 The Aquarius Guesthouse is a men only accommadation, children are not allowed. As Guest from Aquarius Guesthouse is included: Free entrance to our sauna + indoor pool + fitness. Pets friendly but charges may be applicable.